This is a book that EVERYONE needs on their bookshelf! If you ever have (or ever will) come in contact with someone who is looking for SOLID answers to their difficult questions like: “Why God allows…” or “Why Science and Theology are at odds…” or “How God can be good when evil so prevails in the earth…” or “Why God didn’t…” This is the book that they need to read to encourage their faith and strengthen their resolve in a God who loves them more than they could ever know! Every college student raised in a Christian home needs to read this book before their faith is challenged by their philosophy professor and doubt rocks their faith. Every pastor, minister and teacher needs to have the content of this book at their disposal for the times when someone’s faith is shattered when their expectation of God doesn’t meet their experience. Quantum Christianity is a book that breaks down difficult to answer questions and concepts into understandable and logical answers that make sense! 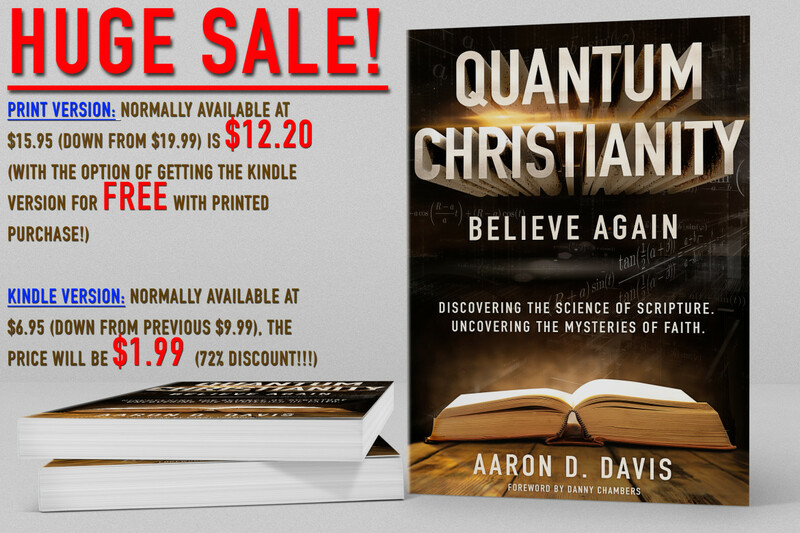 Beginning at 12am September 25th until 12am September 29th Quantum Christianity will be available at the following prices! But get the Kindle version QUICKLY at that price while the price lasts because it will incrementally go up during the sale! This is the absolute LOWEST price that this book can sell for! Thank you all for your love and support! I appreciate you more than you will ever know! Check out: www.TattooPreacher.com/Quantum-Christianity for more information.